Karen brought back some goodies, sponge candy, from her hometown Buffalo, NY. I didn't know that's what they were called and that they're considered a specialty food of Buffalo! I've had similar versions across the Atlantic and also remember my Korean college roommate telling me her mom made something very similar. Anyways, these ones from Watson's were tasty and made for a nice afternoon treat. Thanks Karen! 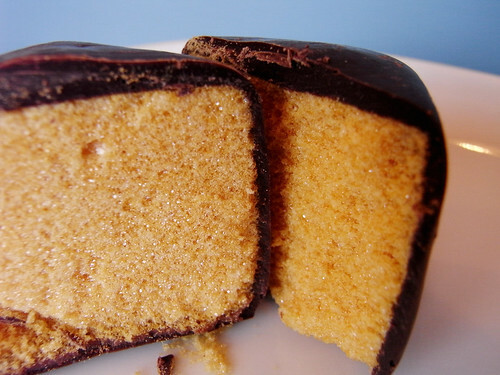 This candy is known as "honeycomb" on the west coast.